With spring around the corner, we’re looking at tried and true spring home decor ideas to help you make way for the season with confidence. 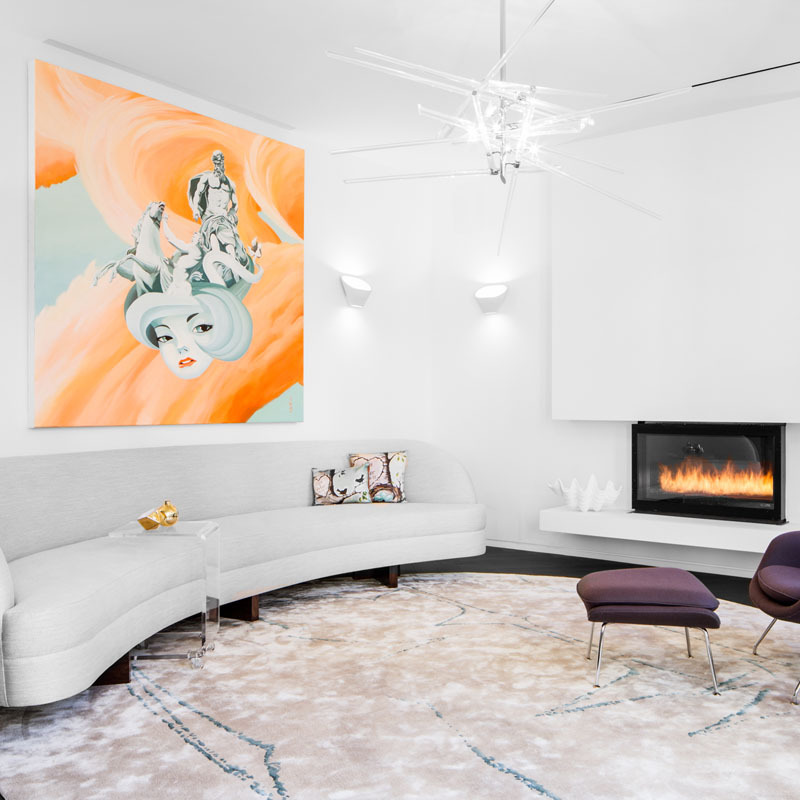 It’s time to start getting your house ready for inspiring spring home decor updates that motivate Décor Aid interior designers and our clients each season. 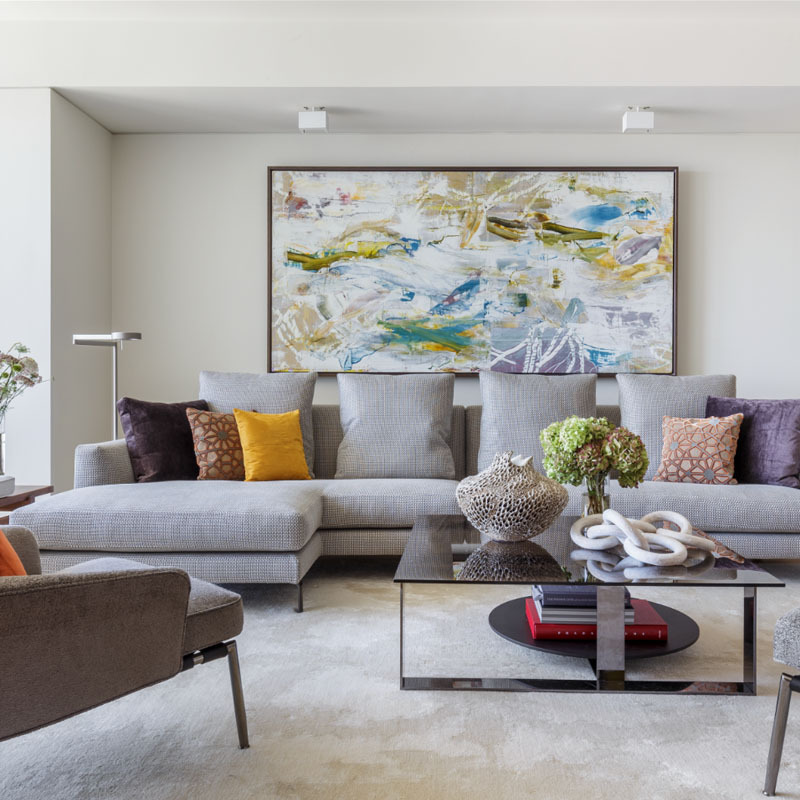 They say a change is as good as a rest, so, combine your seasonal spring clean with seriously stunning decor updates for the ultimate in home rejuvenation from room to room. 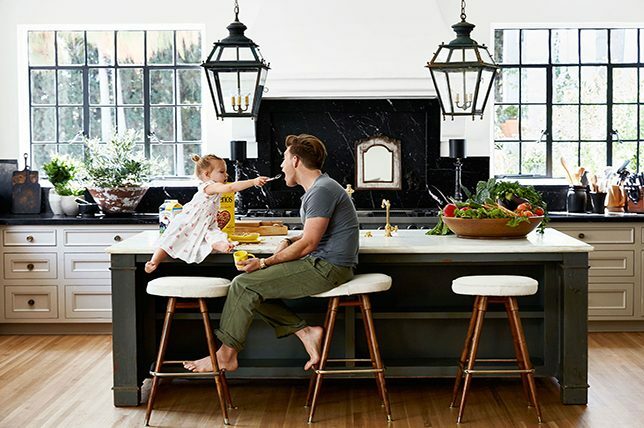 And since spring is often about going out with the old and in with the new, there is no better way to spread the feeling throughout your home than with some of our favorite spring home decor trends for 2019. 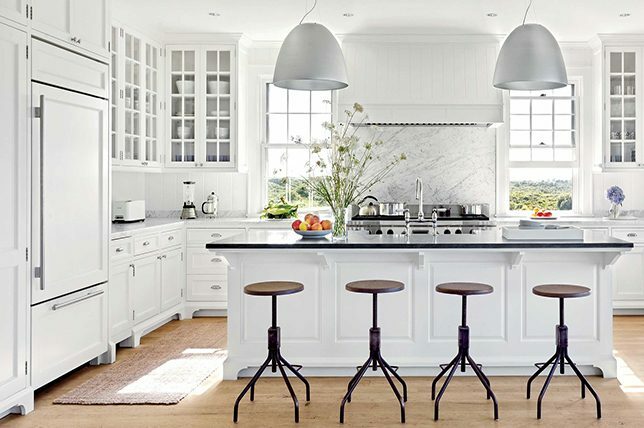 From the expected colors and florals to fresh textiles to fresh coats of paint, here’s everything you should consider as you look to make your home feel anew this season. Put some of your dark, wintery colors to rest for the moment and bring the brighter colors out from hibernation. Spring is all about sunny, vibrant colors – and new growth, birth, and the freshness that comes with a new season. Blacks, deep browns, and dark jewel tones are to be replaced with light and bright pastels or primary colors. 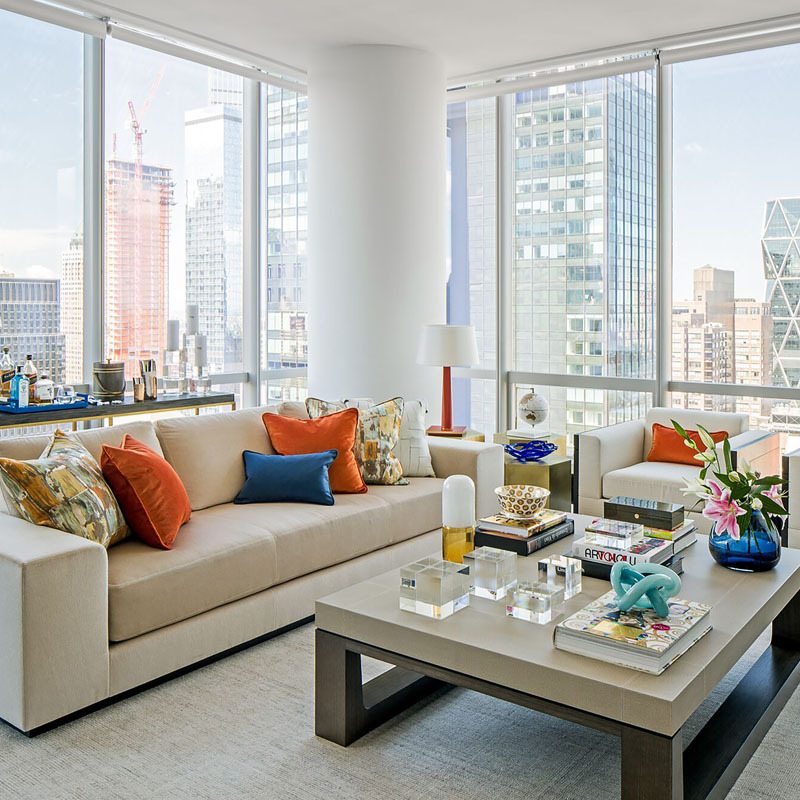 Keep your spring home decor color palette airy and sunny, with the additions of pale and vibrant blues, greens, yellows, oranges, and pinks to calm the look down – let your home become a hive of happy explosive color. And like we’ve said before, if all over color sounds like too hefty of a commitment, you can still inject bold shots of color through linens and decorative accessories. Even if you aren’t planning on changing the entire color of a room, a fresh coat of paint will go a long way in brightening any room. Ridding your room of any dirty marks and dings on the paintwork will work wonders for helping your spring home decor come to life and refreshed. 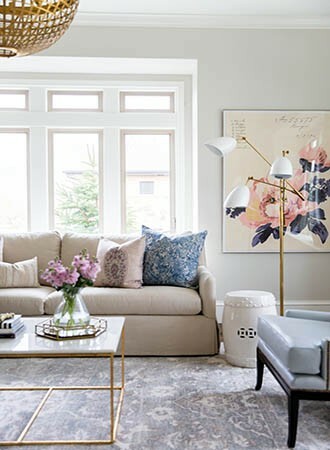 Spring home decor trends tell us that using lighter, brighter colors will make your home feel more at one with the season – so choose a color a few shades lighter than you might usually, to give your home a truly fresh feel. This means unexpected tonal neutrals and a monochrome effect to better soak in the brighter rays of a spring sun. And since we’re talking paint, remember that its one of the most affordable ways to effectively update a room, and it is a process that you can easily do on your own with a little patience. There is no need for heavy woolen cushion covers and throws as we head into the warmer months – put those out of sight for now. Replace your winter soft furnishings with the pretty patterns and pastels that evoke spring home decor, helping your curtains, throws, and throw pillows move from one season to another. This is a great trick for updating your room as you move through the seasons – switching out colors and patterns as the seasons change from your at-home interior design range of time-tested goods. Choose fabrics and patterns which can be used year-in-year-out, so you don’t have to keep replacing them as trends and the season’s change. You’ll be surprised how updating the lampshades in a room can make such a difference with the feel of the space. 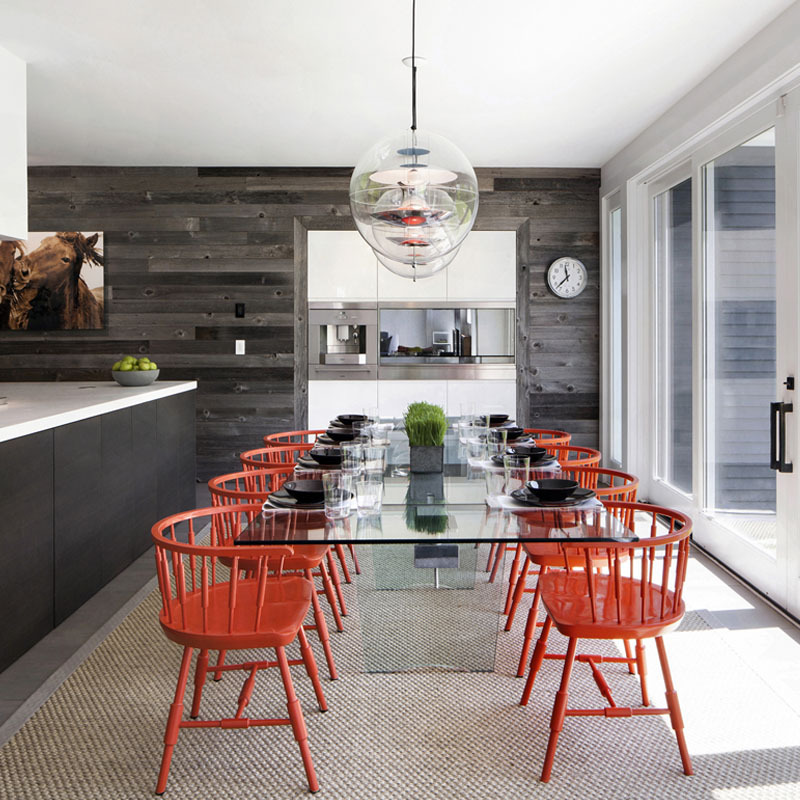 Certain shapes, sizes, patterns, and styles can make a room feel more autumnal than spring-like, or more summer than winter. Dust off your lighter, brighter lampshades and even switch out your light bulbs for those which emanate natural light better, more than that soft candle-like glow we love for during colder winter months. Or you can completely update your lampshades with new silhouettes, scales, and finishes. As spring home decor trends go, this is a simple, but hugely effective one. And it’ll make for an easy way to instantly update a room without having to spend a fortune. No home is complete without fresh-cut flowers during spring dotted around a home on a regular basis. We can’t say this is one of the top spring decorating trends of 2019 because this is something that households have been getting on board with since the dawn of time, but doesn’t that just prove it’s a wonderful thing? Fill your home with vases full of energizing spring flowers, from daffodils and tulips to peonies and freesias. If you don’t have the luxury of updating your home decor as the next season rolls around, bringing in-season flowers into your home will evoke the spirit of the season affordably at that. As the nature around us is starting to grow again and come back to life, embrace the moment by using plenty of natural materials for your spring home decor updates. Think rattan, wicker, and cane along with natural organic fibers and textiles that’ll be the stars of the season, epitomizing a new lease on life for spring decoration for the home. These light woody tones are subtle and pleasing to the eye, giving your spring designs a feeling of agile elegance with subtle updates. And the season’s soothing natural hues and lightweight fabrications will be perfectly in keeping with both minimal decor and headier eclectic and bohemian vibes. 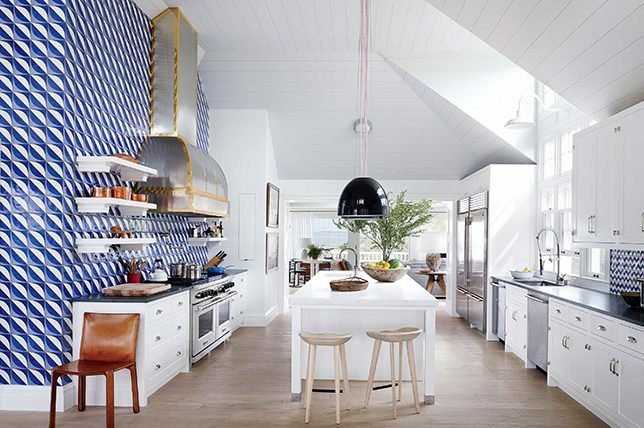 Far-flung ethnic and tribal-inspired prints and patterns instantly evoke the best of spring home decor trends 2019 as they bring with them an undeniably upbeat sense of cool, wanderlust vibes. There is nothing more vibrant and colorful than an original native print and the great thing about them is that you can style them however you like. 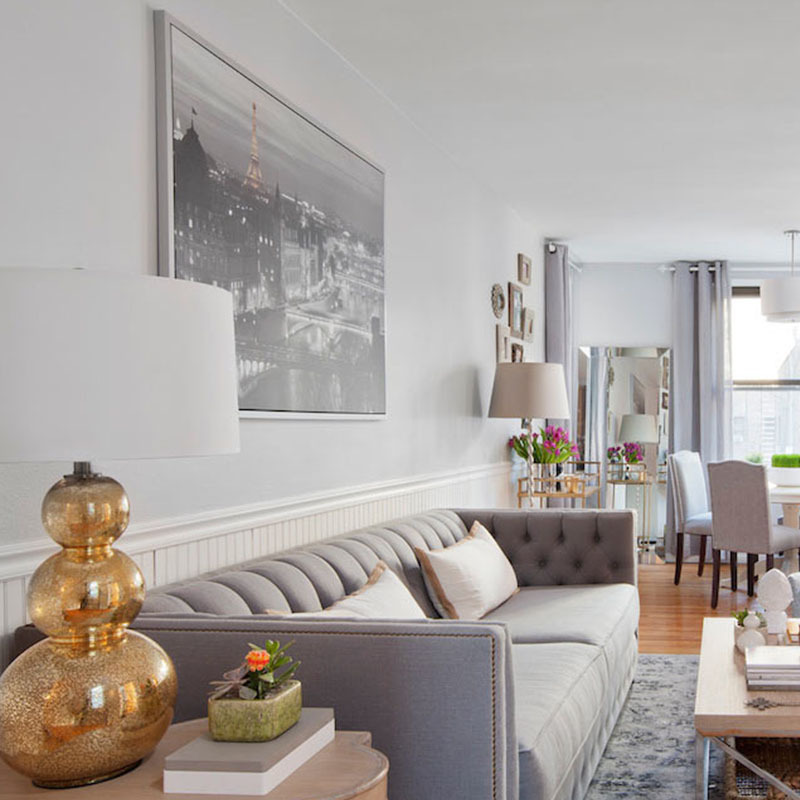 From small, symmetrical ethnic prints, to big, bold, impactful patterns, you can choose light, colors or even darker colors if all the brightness of spring home decor trends is getting a bit much for you. The great thing about a well-traveled wanderlust spirit is that it can give you the look of summer travels abroad, however it comes, giving you full reign to do as you please with them when it comes to spring home decor. 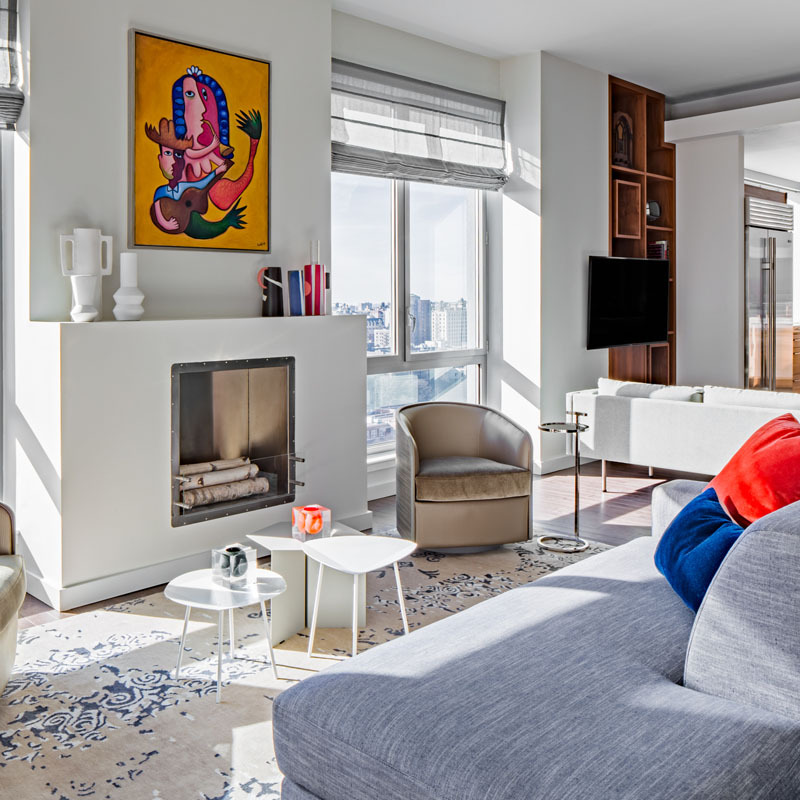 And as you can see, even just one piece like in the room above, whose rug ties everything together with ease, can make a huge difference without coming off as distracting or visually noisy. Plants are the epitome of spring – they bring a room to life in a way that other decorative accessories and home furnishings just can’t. Easy to manage houseplants everywhere is the way to go as you head towards the warmer seasons. Plants are also a great way to bring in needed texture, color, a sense of the natural and organic, and they’ll help to purify the air. You will see them thrive in the warmth and sunlight that spring brings with it and your home will begin to feel like a springtime haven in no time. 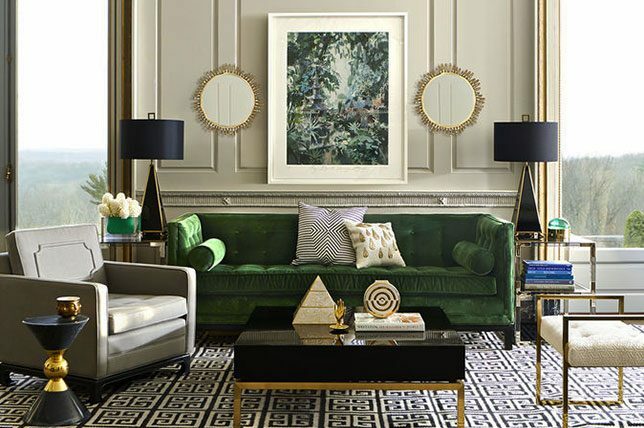 Choose plants with light green and yellow foliage to add to the light and lively feel you are trying to achieve with these spring home decor trends 2019. Best of all is the fact that since there’s an endless variety of plants easily available, you won’t have to spend a small fortune bringing them into your home. And for a truly on-trend yet timeless feel, consider planting them in Mid-Century Modern vessels that boast stands for a stylishly decorative statement that will never go out of style. Okay, so spring cleaning isn’t completely off our agenda as we head away from the depths of winter. In fact, its a great time to declutter, sort through collections, bring in smart storage solutions, and effectively tidy up your entire home. A good old-fashioned spring clean will leave your home feeling fresh and renewed and clearing away the clutter will help you achieve practical spring home decor steps. Put away any items you don’t need out on the surfaces and minimize the chaos in all of the rooms of your home. The less you have visible, the airier your home will feel and spring (along with spring home decor trends) will be able to flow through your home with ease. To make the process easier, take a cue from Marie Kondo and start with the most challenging rooms first like your closets, kitchen, garage, and attic or basement. By doing so, you’ll have less of a chance of giving up when it counts. 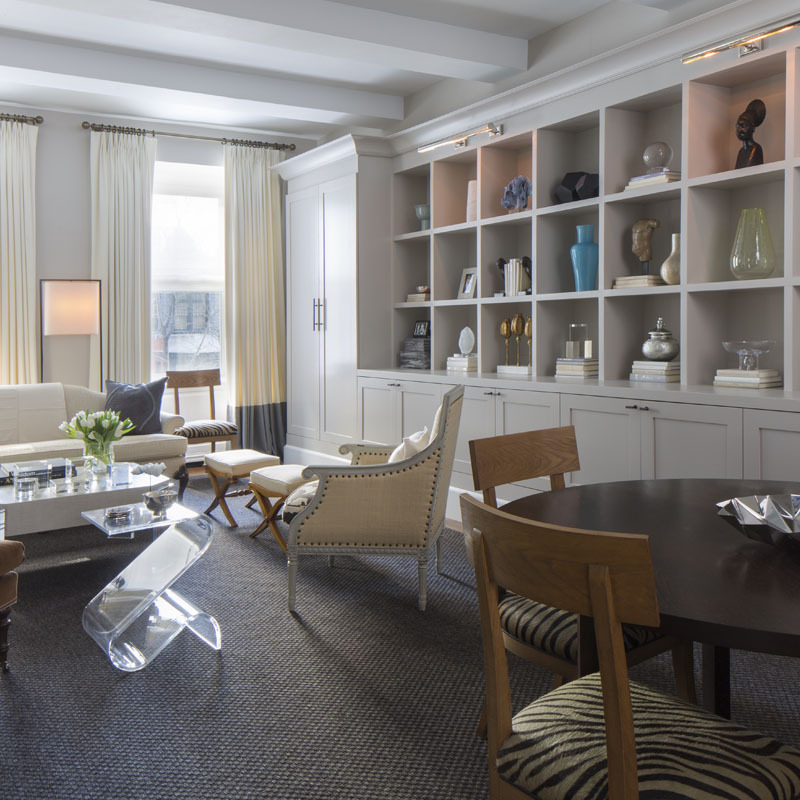 As you go from room to room, be sure to also create designated spaces for everything so you’ll have an easier time finding something and putting it back. Which will essentially help you keep tidy long after you’ve done your sweeping spring clean. If the hassle of real-life plants sounds too far of a reach, or you have a habit of killing off plant life quicker than spring comes around, then botanical prints might just be the answer to your spring home decor prayers. Place sets of botanical prints up along a wall in mismatched frames to add a natural decor element to your home. Choose light wood, or light colored frames to add to the spring feeling throughout your home. Botanical prints will add a vibrancy to any room of the house – the height of Spring home decor trends. Plus, if you opt for botanical prints in more somber colors, they’ll look great year-round. Even better when the prints that you do bring in are over-scaled in size to really make a substantial statement. This will help you lessen the challenges that come with the real deal while adding a sense of the outdoors and a touch of the feminine for a softer feel. That said, you can also create a similar effect with printed pillows, throws, and even slipcovers for an inviting seasonal effect that you can quickly switch out as climates change. Ombre and Shibori die effects evoke the feel of a glorious sun-drenched and naturally faded textile while adding visual texture throughout a room. Best of all, if you’re familiar with the process of tie-dye, you’ll have an easier time perfecting your own DIY takes. Choose a soft, spring hue and work it into an ombre effect on a piece of furniture, textile-like drapes, or even a wall. This will make for a fun project (especially if you are into your DIY home decor) that you can master on one of the warmer spring weekends you have coming up. Choose a soft blue, blushing pink, pretty lilac, sunny yellow or apple green, as well as a medium and light shade of the same color. Paint your wall or piece of furniture starting at the top, progressing from light to dark as you move down. 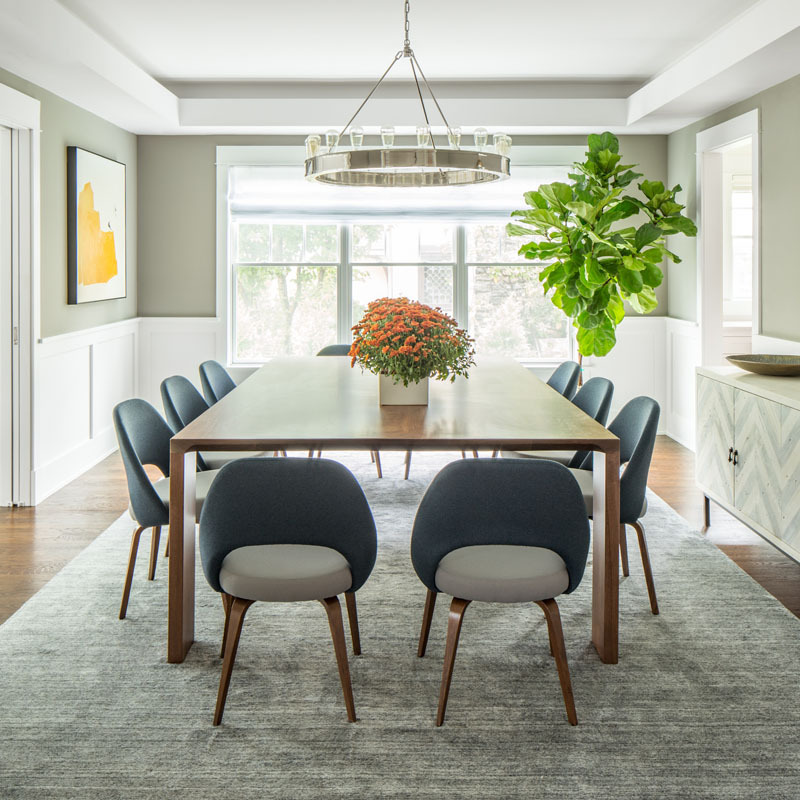 Ombre effects are one of our top spring home decorating trends of 2019 as they’ll lend a room comforting warmth. Even better when you take pride in knowing that you created the effect all on your own. 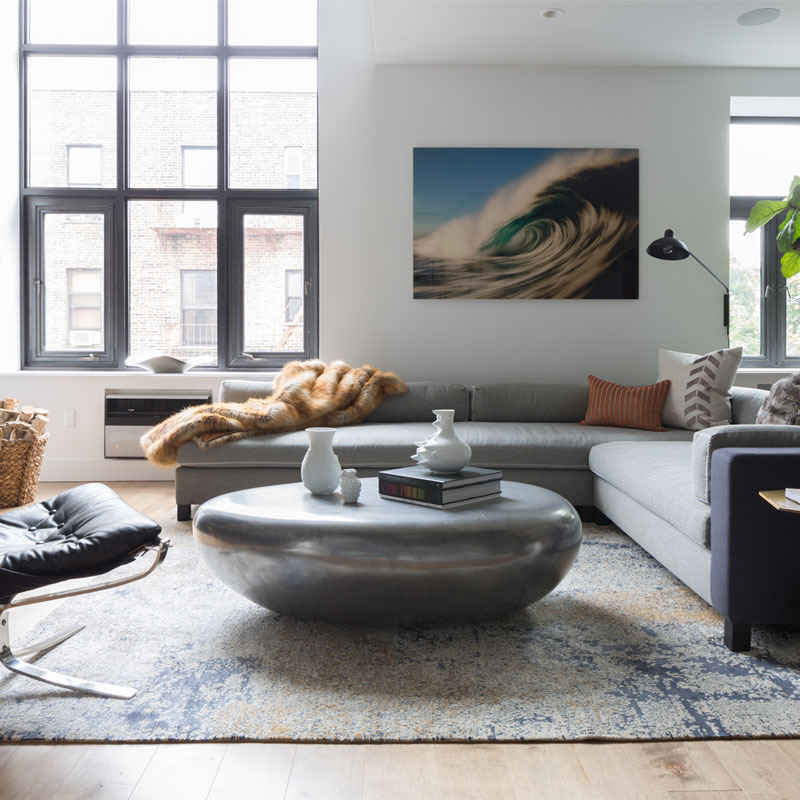 But if that sounds like too much of a hassle, you can affordably mirror the effect with inexpensive store-bought finds that’ll let you bring in the look with ease. With spring return of spring and it’s brighter days, it’s a great time to play with riotous patterns, mixing and matching to create vibrant combinations that sing spring. Spring home decor wouldn’t be complete with patterns and prints juxtaposed against one another in a playful and spectacular homage to spring home decor 2019. Ultimately, pattern play is great at any time of the year, in any season, but for us, it really comes into its own in spring. But if an entire room of buzzy prints, patterns, and colors are all-together too bold for you, you can still introduce merry color in small doses that will be just about as effective. This could be via pillows, throws, linens, decorative objects, rugs, drapes, you name it. All it takes is just a step in the right direction to get the look right and make a room feel all the more energetic for it.